Over the past eleven years, Katy has worked with a variety of patients with varying needs. Her experience includes working on acute wards to psychiatric intensive care, child and adolescent mental health services, community mental health teams and residential care for young offenders, both as a nurse and support worker. Katy is trained in a variety of therapies including Cognitive Behavioural Therapy, Dialectical Behavioural Therapy, Cognitive Analytical Therapy and Psychodynamic Psychotherapy. Katy is also trained in solution-focused brief therapy and progressive lifestyle medicine, which over the years Katy has seen the best long-term outcomes for patients and are her preferred approaches. Katy’s interest in mental health began during her childhood and has been passionately committed to improving mental health services ever since. As a child, Katy lived through her Fathers battle with alcoholism. Transforming from a popular, fun loving, family man who ran a successful business, she witnessed him lose everything aged just forty six. Katy's passion for lifestyle medicine developed from working in residential care for young offenders. It became clear that the young people excelled during their residency but on return home to their challenging family lives and familiar routines they often fell back into old habits. After researching, Katy found a local boxing club ran by the police for young people often in trouble with the law, who wanted a better life. This boxing club ran three times a week all year round, including Christmas Day. The results for young people were long term. Young offenders were able to change behaviours and maintain healthier attitudes and coping mechanisms. From Katy's professional and personal experience, she believes for many, becoming healthy is getting for too complicated. 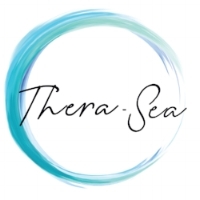 With Katy's passion for the sea and after years of planning, this summer saw the launch of Thera-Sea that aims to change outdates preconceptions.